San Francisco supervisor moves to ban sidewalk delivery robots. Could San Francisco Ban Those Adorable Food-Delivery Robots? 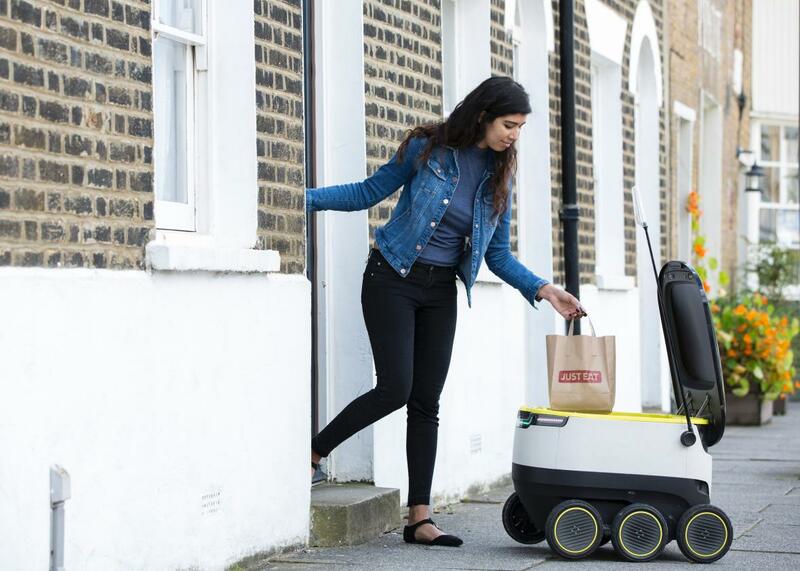 A Starship robot delivers food to a customer in London. One San Francisco elected official is on the warpath against food-delivery robots. As reported by Recode, Norman Yee, one of the 11 elected representatives who make up the San Francisco Board of Supervisors, proposed legislation on Tuesday to ban the autonomous vehicles from the sidewalks of the city by the bay. Yee’s office had previously looked into administrative ways to curb autonomous delivery services, apparently out of concerns that the squat, boxy robots—which trundle along at a mean 4 miles per hour—could barrel over elderly pedestrians, people with disabilities, or children. Ensuring full compliance with such regulations became a sticking point after conversations with the San Francisco Police Department, Yee said. The supervisor claims that talks with Starship as well as Marble and Dispatch, three of the highest-profile autonomous delivery companies in the San Francisco area, failed to allay those concerns. “I came to the conclusion that if we can’t enforce regulations, then we should just ban [the robots],” he told Recode. Yee also expressed fears that the robots could eventually take a bite out of the job market for delivering goods. The bill, which could levy criminal, civil, and administrative penalties of up to $1,000 for unauthorized delivery-robot use if passed, has received support from San Francisco Police Commander Robert O’Sullivan and the pedestrian advocacy group Walk SF. But even if it fails to win the full board’s approval next month, it won’t be the only pushback these delivery bots have faced in San Francisco. Although the vehicles are only partially autonomous, still requiring human oversight from afar to ensure nothing goes wrong, the San Francisco Department of Public Works granted Starship only a partial license to operate them on the city’s streets, issuing a temporary occupancy permit to test the technology last September.